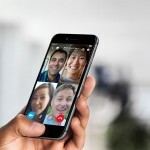 Already, Microsoft Garage, the experimental project lab of the eponymous tech giant, has created a number of apps including the event planning app Tossup, the chatroom app Forum, the meetup app Invite, the text-on-photo group chat app Twist, the now defunct celebrity news app Snipp3t, and the recently released “hyper-relevant” work news app News Pro. Now, Garage has come out with another interesting app in the form of Fetch!. As its name suggests, Fetch has to do with dogs. 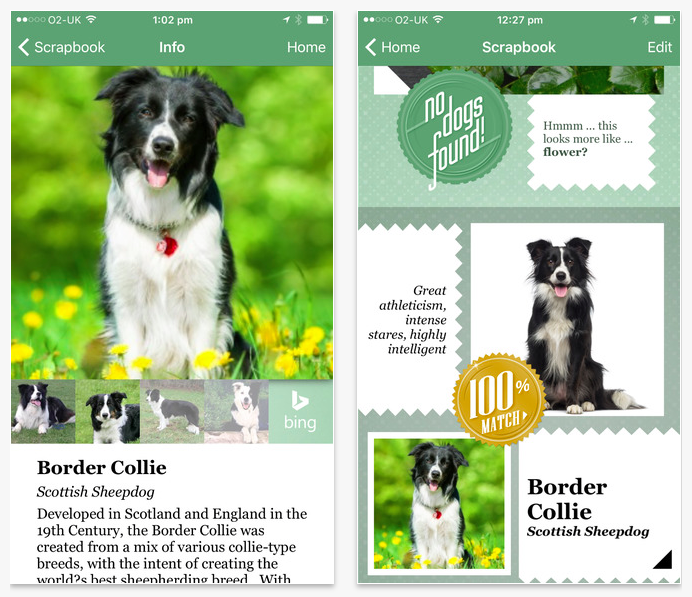 Essentially, it’s an app that recognizes images of dogs and classifies them by breeds. The app lets you take or load a photo of your dog or your friend’s dog. It then analyzes the image to discern what breed the dog is. If the breed is unknown, it will show a percentage of the closest matched breed, and the precentage rosette may be tapped to show the top five breeds that could be in the dog. Tapping the matched breed shows more information and images for the breed along with supplementary links provided by Bing. 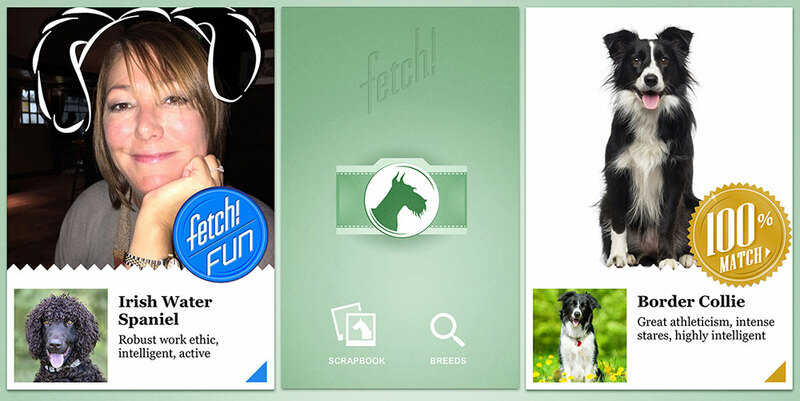 Fetch also features a scrapbook section where you can track of all your images and results, and a collection of breeds with information on disposition, size, coat, and what types of families are best suited for each. Of course, the app lets you share your images and results so you can have Fetch fun with them among you and your friends. Just for fun, Fetch also lets you take or load photos of yourself and your friends to find out what dog breeds you and your friends most closely resemble and why. But what if you take or load a photo of a non-human or non-dog living thing or an inanimate object? Well, Fetch is smart enough to know that the photo is of neither a dog nor a human. If you take a photo of your cat, Fetch will say, “No dogs found! Hmmm … This looks more like … cat?” And if you load a photo of a flower, it will guess that the object in the image looks more like a flower. Fetch can do this thanks to image identification intelligence powered by Microsoft’s Project Oxford, which is also behind HowOld.net, TwinsOrNot.net, MyMoustache.net, and Mimicker Alarm. Optimized for iPhone and iPod touch running iOS 8.3 or later, Fetch! is available now on the App Store for free. Fetch is released just in time for the American Kennel Club’s Meet & Compete happening tomorrow, Feb. 13, and the Westminster Kennel Club Dog Show taking place on Monday, Feb. 15, and Tuesday, Feb. 16, in New York City. I imagine using the app in those events will prove quite fun. Woof!